If you’re in charge of your facility’s recycling program, it is very important that your program is working towards increasing your facility’s waste diversion rate for it to be considered successful and to start saving you money. Conducting a thorough waste audit is critical to help you gain better understanding of where your organization currently is in terms of waste management. It will also help you clearly see opportunities for efficiency and improvements; for the environment and your bottom line. To find everything you need to know about how to conduct an effective waste audit check out our ebook: A How-To Guide for Waste Audit Success or our Waste Audit Toolkit. When it comes to the 3Rs of recycling and actively increasing your waste diversion rate, the best thing your facility can do is REDUCE. This means focusing on your supply stream and what you bring into your facility. Promote your program to your vendors and work to bring in only items that are recyclable or compostable. If you can control what is coming into your facility, you have a much better chance at diverting more waste from landfill because the waste your facility is producing is already recyclable, reusable or compostable. Every recycling program needs consistency to make it simple and easy for employees to do the right thing. To begin standardizing your recycling bins, develop consistent visual standards with key colours and opening shapes throughout the facility so people can quickly learn how to recycle properly. Also, be sure to refresh your program regularly and update your bin streams and graphics as your stream collections may change. 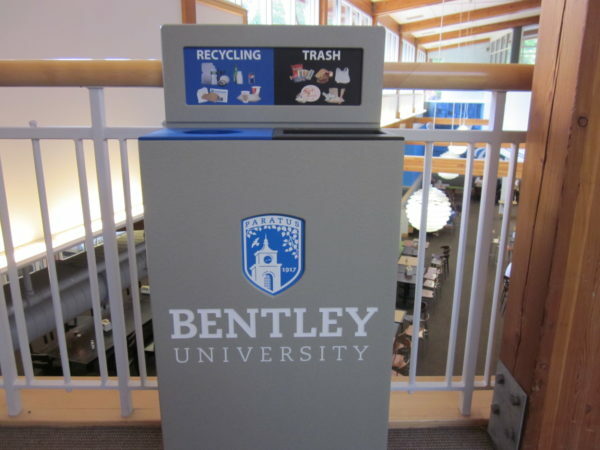 Bentley University has kept their recycling program effective with CleanRiver bins and consistent graphics and stream colors throughout the entire campus. 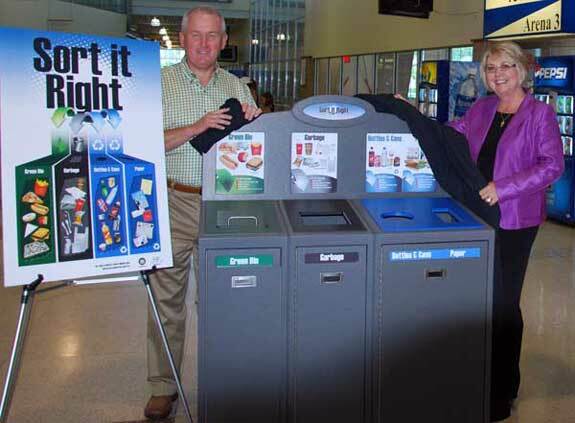 Employees and visitors have 2-3 seconds to decide where to put an item when disposing of their waste. If your recycling program has stream signage that’s unclear or confusing, you’re most likely increasing your contamination rates. 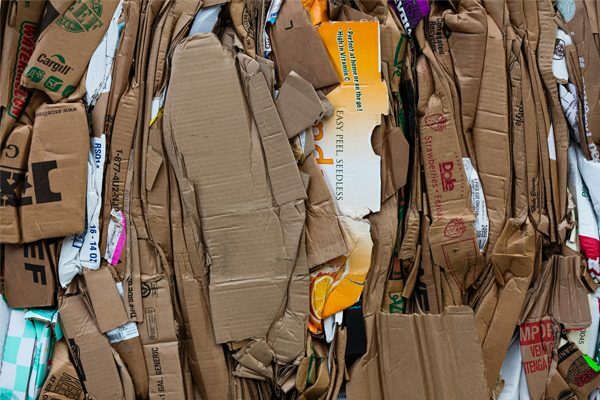 From showing people exactly what goes where, to communicating your sustainability message, graphics are an extremely powerful component of any recycling program, but too often we see companies missing the mark. Graphics that stand out and clearly communicate what needs to go into that bin are critical for success. However, less is definitely more when it comes to the number of images. Too many visuals can become confusing and so people give up and toss their waste into the nearest bin. 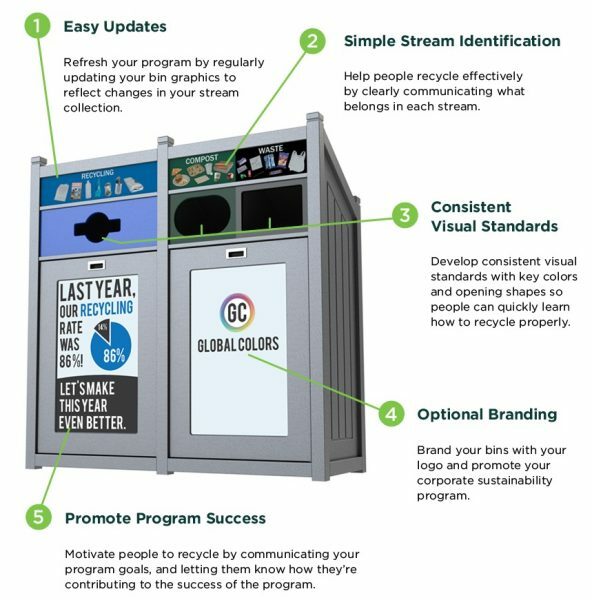 Clear, concise graphics build recycling program awareness, and when people recycle correctly, stream contamination is vastly reduced. Graphics can be customized with images of actual waste such as branded food containers. They can also include sustainability messages and be swapped out with new graphics to adapt to changing needs. Tell everyone about the recycling program; what your goals are, where the bins will be located, and what exactly is recyclable. 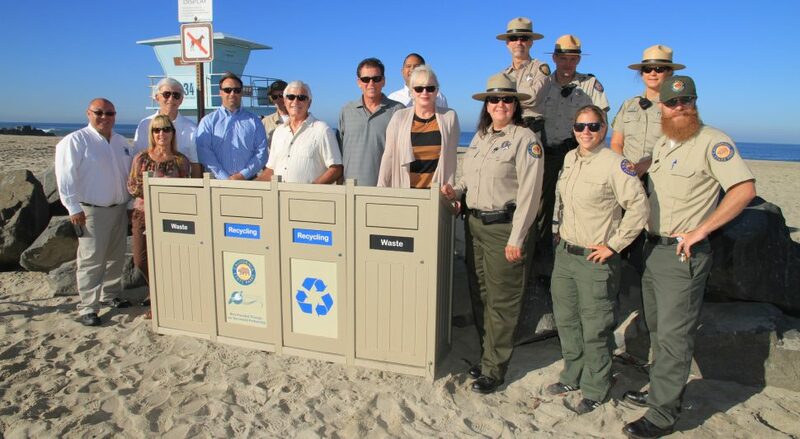 Having a recycling program launch helps build awareness and get people on board. Culture is the number one driver of recycling program success, so help people get passionate and about what you’re doing. Continually monitor and report on the success of your recycling program. At CleanRiver, the Green Team conducts quarterly waste audits to check in on the progress of our program. The waste audits identify any opportunities to divert more waste from landfill and if there’s been any stream contamination. Make sure you also post your results near your recycling bins or in central areas. People like to know how they can contribute and are motivated by success. Lastly, set new goals to keep your recycling program a focus for everyone within the organization. For more information on waste diversion, check out our blog The Dirty Dozen: 12 Items that You think ARE Recyclable but really AREN’T! and our ebook A How-To Guide for Waste Audit Success.